The H.Upmann Coronas Junior is a delicious and reliable Habano, of Cadete format, with 36 ring gauge, 4.5” (115mm) long and comes in a box of 25 cigars. Mild to medium smoke, that gives delicious flavors of wood, spices, sweetness and some hints of nuts. Great pick for someone looking for typical Cuban aroma while being easy on the wallet. 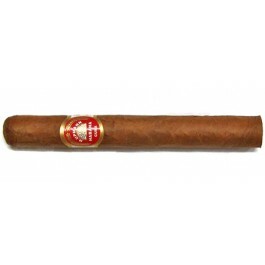 The H.Upmann Coronas Junior is a great cigar for a short break and for a first Cuban smoke. • Perfect construction, very reliable cigar.